Caryn Karmatz Rudy Literary Agent – This article about Literary Agent Caryn Karmatz Rudy and DeFiore and Company is part of a series about literary agents and how to Find a Publishing Agent. Publishing Agent Caryn Karmatz Rudy is an agent with DeFiore and Company. Book Agent Caryn Karmatz Rudy is a graduate of the University of Pennsylvania and currently sits on the Board of Kelly Writers House at the university. Before Caryn Karmatz Rudy joined DeFiore and Company in 2010, she spent almost two decades as an editor of nonfiction and fiction for Warner Books/Grand Central Publishing. Her work there has given her invaluable insight into what editors face throughout the publishing process. Caryn Karmatz Rudy Literary Agent is on our list of AAR Publishing Agents (book agents who are members of the Association of Authors’ Representatives), Publishing Agents New York (book agents in New York State), Publishing Agents NYC (book agents in NYC), Publishing Agents USA (book agents in the United States), Fiction Publishing Agents (book agents who represent fiction authors), Nonfiction Publishing Agents (book agents who represent nonfiction, not just novels), and Young Adult Publishing Agents (book agents who represent YA books for teens). 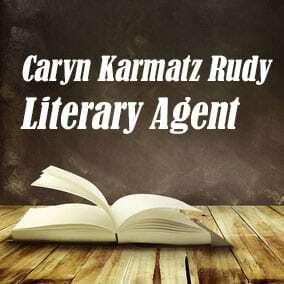 The profile about Caryn Karmatz Rudy Literary Agent that you see here contains just some of the information you’ll find in our free Book Agents Directory, with listings for all publishing agents. Scroll below now to learn more about Literary Agent Caryn Karmatz Rudy and get free instant access to our Book Agents Directory. Scroll below now to view representative titles and a complete profile for Caryn Karmatz Rudy FREE in our Book Agents Directory. Scroll below now to view the AAR status and a complete profile for Caryn Karmatz Rudy FREE in our Book Agents Directory. Scroll below now to view the email and postal address for Caryn Karmatz Rudy FREE in our Book Agents Directory. Want more information about Caryn Karmatz Rudy Literary Agent? Join thousands of other subscribers today by entering your first name and email address above. You’ll get free access to the Directory of Book Agents with detailed profiles for all book agents, including Literary Agent Caryn Karmatz Rudy.